This year marks the 15th anniversary of the U.S. government’s Kennedy-Lugar Youth Exchange and Study (YES) program. AMIDEAST is proud to have been a partner on YES since the beginning, recruiting, selecting, and supporting over 2,700 high school students from the Middle East and North Africa for an academic year exchange in the U.S. YES students from Lebanon during their year in the U.S. Throughout these 15 years, YES students recruited through AMIDEAST have created lasting friendships in all 50 states, volunteered thousands of hours of their time, and have developed robust alumni programming in their home communities. They continue to create meaningful multicultural relationships and share their knowledge of their home cultures and the United States. For the 2018–2019 school year, AMIDEAST recruited and prepared 206 student from Bahrain, Gaza, Jordan, Kuwait, Lebanon, Libya, Morocco, Tunisia, and West Bank. YES has evolved over the years to include a YES Abroad component for American students to study abroad, and AMIDEAST was busy preparing teenagers in the United States for their exchange experiences in Morocco and Jordan as well! To celebrate the 15 years that YES has been promoting international friendships and mutual understanding, students and alumni around the globe have participated in a social media blitz throughout the year. You can find amazing stories of personal growth, deep interpersonal bonds, and community improvements on yesprograms.org and the YES Facebook (Youth Exchange and Study (YES), Instagram (yes.program), and Twitter (Kennedy-Lugar YES) accounts almost daily. YES alumni are especially proud to be presenting their countries in a special Around the World Video project throughout 2018! Check out the videos from AMIDEAST program countries so far, including Libya, Gaza, Morocco, and next month, Lebanon and Bahrain. And stay tuned for more YES alumni videos the rest of the year ― Jordan and Tunisia in November, and in December the year will finish out strong with Kuwait and the West Bank videos. Follow the action on YES and AMIDEAST social media using #KLYES15 and join in the fun of this continued commitment to exchange between the United States and the MENA region. 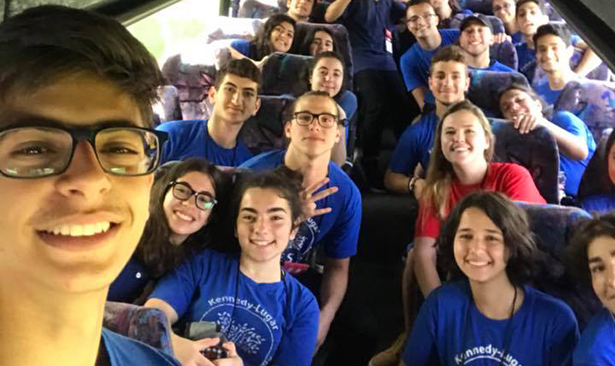 And check out our webpage for the Kennedy-Lugar Youth Exchange and Study (YES) program to learn more about this exciting, ongoing initiative. Copyright © 2019 AMIDEAST, Inc. All rights reserved.